I DARE say that when plans for Glasgow Cathedral were unveiled there will have been a bunch of Dark Ages busybodies bemoaning the loss of whatever was on the site previously. AN architectural expert today urged Glasgow to stop using the wrecking-ball in the name of progress. It's hard to disagree with this article. The Springburn halls are a shambles which is a total and utter disgrace. GCC want to turn Glasgow into some sort of "futuristic" nirvana, with lego type buildings dominating every turn. It's a real shame. One of the worst buildings of modern times? The Princess Royal Maternity. Ugly archiecture, ugly colour and ugly inside. How on earth did this pass the planning stages? Listed Building, Regeneration, i smell fireee! How on earth can they thing of demolishing it? Cracking building. If it were in any other city in the UK, we wouldn't even be having this debate. Isn't this exactly the sort of industrial building that yer genuine yuppy wants to be living in so's he can kid himself on he's a TriBeCa boho trustafarian and not just a 40 year interest only mortgaged up to the hilt bawbag with a DFS sofa on tick till 2020 and a credit card balance bigger than Lichtenstein's national debt? 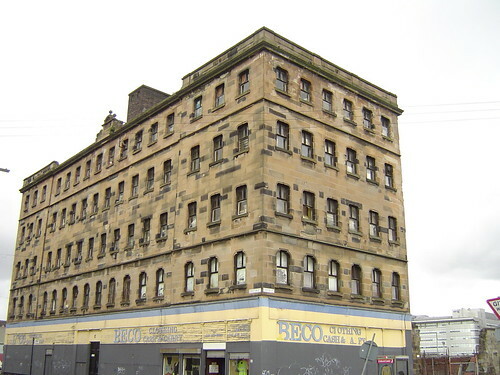 Forgive me for pointing it out but the Beco Building screams LOFTS! 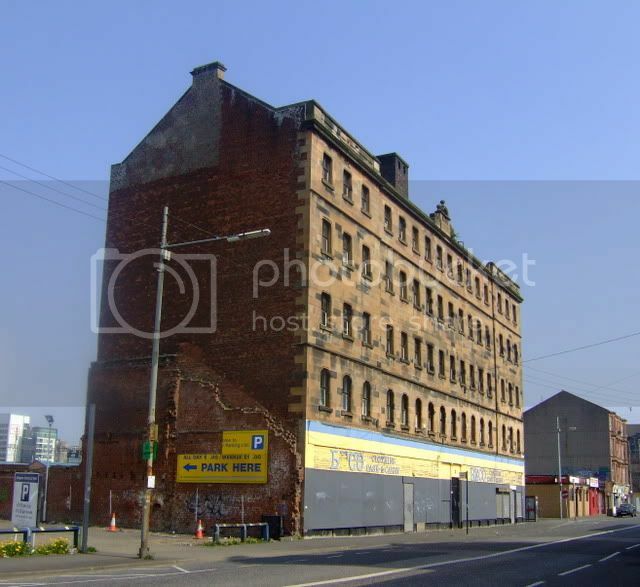 at you from every angle and yet once again Glasgow City Council would rather knock it down. Are the councillors on commision from Cementation? Cyclo2000 wrote: Are the councillors on commision from Cementation? Perhaps you have answered your own question. Cyclo2000 wrote: Isn't this exactly the sort of industrial building that yer genuine yuppy wants to be living in so's he can kid himself on he's a TriBeCa boho trustafarian and not just a 40 year interest only mortgaged up to the hilt bawbag with a DFS sofa on tick till 2020 and a credit card balance bigger than Lichtenstein's national debt? Shhhh you'll spoil the illusion with careless talk like that! We should ask M'lord Rogers to come up and cover it with Alcan, then they'd want it! If y'all feel so strongly then you should rattle a letter of objection off to planning: enough of them and you'll have to be taken seriously. 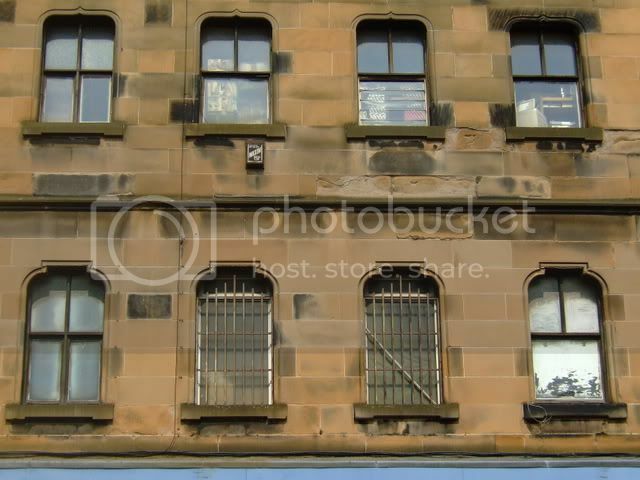 Guess I must be a delusional yuppy coz I'd love to live in a flat in this building. Every days a school day! Last edited by crusty_bint on Fri Apr 20, 2007 8:51 pm, edited 1 time in total. I HH's first piccie does anyone know what the building next to it was? (where the "Park Here" sign is) It's been an awfy strange shape!